Canada based underwear retailer Jockstrap Central has just extended their Sukrew collection to include the new Red Black range. “Sukrew” stands for Sexual Unity Krew and their designs are some of the most provocative you can find out there. This range is all about showing off what you have got with underwear featuring full frontal exposure or full 3d pouched designs. 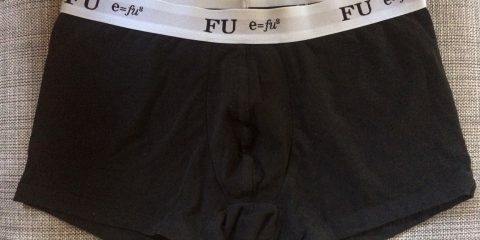 Of course this enhancing underwear is not just some garments with a gimmick, it’s quality all the way with striking fabrics, double stitching, impeccable craftsmanship and unique panelled construction that ensures they all fit like a glove. Jockstrap Central exclusive models Ryan Russell and Mick are putting them through their paces. Sukrew is available in North America exclusively right now through Jockstrap Central. Enjoy the shots below and make sure you visit the website to see the full range. You will come across NSFW shots with all the full exposure underwear of this range by SUKREW in real action.